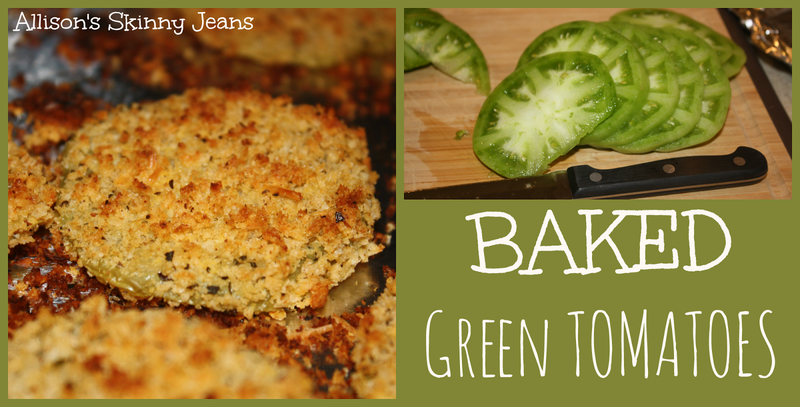 You've heard of fried green tomatoes, but what about baked green tomatoes? My friend gave me some green tomatoes from her neighbor's garden and I couldn't let them go to waste. I've enjoyed these twice now - one night with friends and another night for our camp in date night! You can use the same recipe and make zucchini fries as well! My friend had some fresh zucchini from her garden that she brought over for us to cook. 1. Preheat the oven to 425. Wash & slice the tomatoes & zucchini. 2. Pour the egg beaters in a small bowl. Dip the slices in the egg beaters. 3. Mix together some of the parmesan and panko crumbs. Roll the egg coated slices in the panko crumbs. Don't use all the panko crumb mixture at one time or they'll get gooey and stop sticking - just use a few tablespoons of the mixture at a time. 4. Cover a cookie sheet with aluminum foil & coat the aluminum with olive oil cooking spray. Place the panko coated tomatoes and zucchini slices on the cookie sheet. 5. Bake for 10-12 minutes, then flip and bake for another 10-12 minutes. You want them to get browned on both sides. Need some sauce to dip them in? We love fried green tomatoes!! I need to try your baked version, they look delicious!! 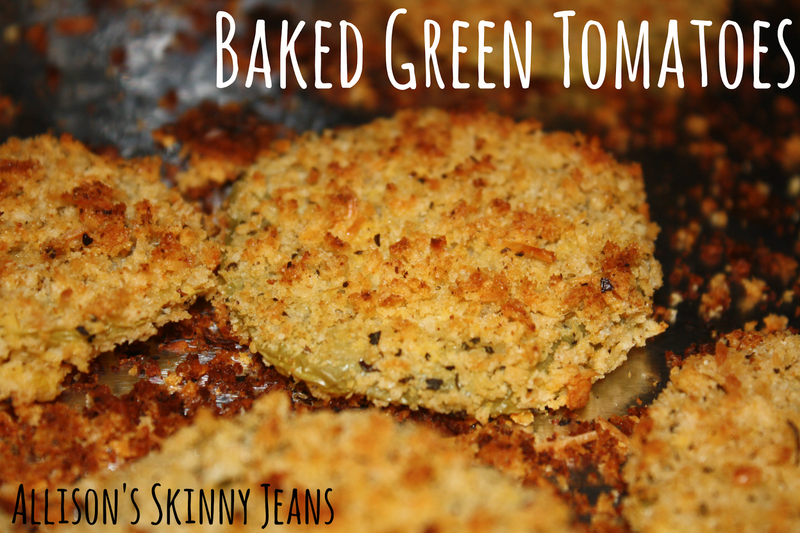 I love fried Green Tomato so I bet these would be fantastic. Going to have to find a green tomato and make some. Aren't they so good? Let me know how they turn out! These look so delicious! I love the idea of baking them instead of frying--so much healthier and less greasy! I made these and they are so delicious! I've never had fried green tomatoes and wanted to try them with a healthier recipe. Oh my goodness! They were incredible. I did swap the horseradish out of the sauce and added buffalo instead and it was the perfect dipping sauce. Thanks for sharing! I am so glad you like them!! Yum - adding buffalo sounds amazing. I'll definitely have to try it that way.